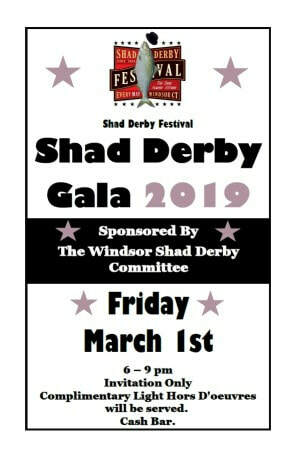 The Shad Derby Gala is by invitation only. Complimentary Light Hors D'oeuvres will be served. ​Hosted by the 2019 Shad Derby Gala Committee and the Windsor Shad Fest Bureau.